Molds are essential in an eco-system because they help in breaking down organic matter. However, they are awful to human beings; molds like brown mold, Pink Mold, and Black Mold are ugly. Besides, allowing molds to grow in your house has significant health impacts. Molds trigger asthma attacks, headaches, rashes, and allergies. Molds can also lead to blood poisoning and brain infections. Irrespective of the color, molds should be removed as soon as they are visible. Just like fungi, molds grow in damp conditions. The spores thrive in moist surfaces; they can grow on any organic surface as long as it is wet. 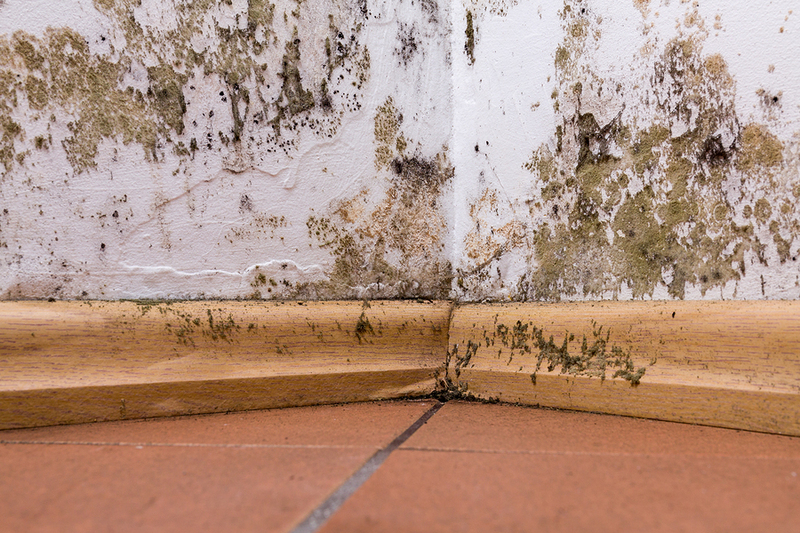 Brown mold is a combination of mold species that grow on wood, walls, and tiles. Brown molds can be a sign of leakage and water problems. It is important to note specific features of brown mold and its effects. If you have dark patches on hard surfaces appearing in clusters around your house, you are likely a victim of brown mold infestation. The mold looks fuzzy with minute fungal growths but may not be always brown. Depending on the type of brown mold in your house, the color may range from tan, dark yellow, to black. Most of the common brown mold species are blackish but the intensity of the color varies with the surface they grow on. For example, when they grow on a dark background, they appear black but under a microscope, they are brown in color. It would be impossible to classify the type of mold invading your house just by looking at them. You need lab analysis to determine theexact type.However, it is more important to get rid of any type of mold you find instead of testing. 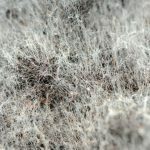 All types of brown mold have an unmistakable unique musty smell. They also release small but visible spores to the air. The most common types include;Taeoniella, Pithomyces, Chartarum, and aureobasidium pullulans. Stemonitis is the most common type of brown mold found in the bathroom. Experts discourage spending time learning about the different species. There are an excess of 1.5 million mold species anyway. The most important thing to do is find the leakages or other causes of moisture and safely rid your house of the harmful fungi. Brown mold is common in bathrooms because of moisture. It might also be because of leakage problems in a bathroom. The mold often looks like small blobs. 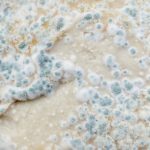 While the only way to be certain with the type is by lab testing, brown mold is easily identified with fuzzy growth. Brown mold originates from wood. Therefore, you may not find it on the surface of your ceramic or tiles in a bathroom. Usually, it originates between tiles, corners, windowsills, and floorboards. Some bathroom carpets also create a good ground for growth of brown mold. Wood is the perfect environment for growth of brown mold. In moist conditions, wood tends to become soft. The damp environment, especially in dark areas of the house guarantees growth of mold. It doesn’t matter whether the wood is indoors or outside a building. 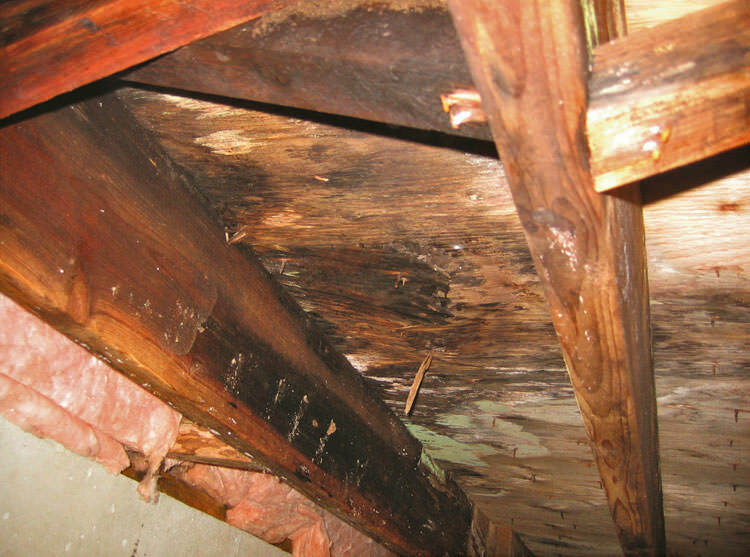 Whenever wood is exposed to water, there is a high likelihood of brown mold growth. Wood in bathroom, in the kitchen, in your backyard are common brown mold locations. Also, if you have wooden poultry house, you are likely to find brown mold on the edges. Walls are known habitats for brown mold. While it is common on the outside walls, brown mold can also be inside the house. Typically, basement and ceilings are dark and damp. This is enough for growth of molds. Actually, brown molds start on the inside walls and grow spreading to the outside. If you do not check the corners of your walls regularly, you will only notice the discoloring on your outside wall. Usually, brown mold appears as dark spots. However, the appearance depends with maturity level. At advanced stages, you may witness mushroom-like growths on your wall. Mold on walls is common in buildings with poor lighting and leakage problems. Molds are also common in old properties. If a house has been vacant for a long time, the walls are bound to grow mold. This is because of exposure to weather elements as well as poor lighting. Ceilings are common locations of brown mold. Typically, ceilings are dark and often damp. While ceilings heat up during summer, this is only few months that cannot hinder existence of mold. Besides, the ceiling will still be dark. How many times do you check/clean your ceiling? Probably you have never checked on your ceiling since ducts and the roof were installed. You will be surprised with the life in your home. Just like all other mold colors brown molds have significant effects on your health, especially if you expose your body to the conditions for a long time. The answer to your allergies and irritation might be in the ceiling. Seal any roof leakages to reduce growth of brown mold in the ceiling. Of course, you cannot light up the ceiling meaning you cannot completely get rid of mold. The only solution is regular cleaning. Getting rid of brown mold (also another mold like Yellow Mold or Orange Mold) involves similar steps as other types of mold. They all grow with spores in similar conditions. After noticing dark spots and fuzzy growth on your wall, ceiling, or wooden surfaces you need to ascertain they are mold before embarking on the removal process. Also, the extent of growth determine removal techniques. When brown mold matures and spreads, you might need to consult with experts on suitable removal procedures. In this case, contact a mold remediation service. Large-scale brown mold infestation can be difficult to handle hence need of special equipment and detergents. Check with your insurance if it covers mold cleaning. You might need to find a temporary place of stay during the cleaning process. • Wear disposable mask and gloves. If possible, get a goggle. • Remove carpets and any materials that absorb water. • Mix a bottle cap of bleach and detergent in three containers of water. Scrub the mold infested area vigorously and let it dry. Repeat the process three times. • Add hydrogen peroxide or vinegar to water and vigorously scrub the mold surfaces. Repeat the process at least three times. Let the surface dry between scrubbing intervals. • Be sure to collect all brown molds in double bags and dispose them as far as possible from the house. • Avoid these removal techniques if you have asthma or allergy. Molds are bound to come by if your house is poorly lit and damp. If you are moving to a new house, you had better learn of some mitigation practices to avoid unnecessary allergies and irritation. If you’ve had experience with molds and successfully removed, you know the hassle. It is better to prevent than wait for removal, which costs you time, money, and exposes you to health risks. Increase the number of ventilations in your bathroom and kitchen. Any areas that are exposed to high moisture level should be well ventilated. Proper air circulation decreases risks of brown mold growth. Fresh air replaces too much moisture, which is a condition for mold growth. Check and fix any leakage problems around the house. Some cracks on walls and ducts maybe hidden and would require an expert for proper diagnosis. Also, check on any plumbing malfunctions. If you at the construction stage, position the windows strategically to ensure all corners of the house are well lit. While you can compensate with artificial light, nothing beats sunlight in fighting molds. Proper lighting guarantees you a mold free environment. Some areas have high humidity levels. If you are living in such conditions, the least you can do is installing a humidifier. High humidity creates a favorable condition for brown mold growth. Of course, brown mold is ugly and smelly. 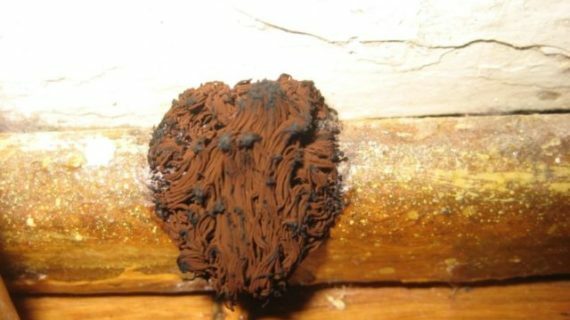 The dark brown species is often mistaken for the toxic black mold. Brown mold is not harmful. The magnified fear of this mold in homes is unnecessary. Brown mold just like other types of mold can damage structures and devalue property. This does not amount to it being toxic. However, living in a mold-infested house for a prolonged period exposes you tohealth risks. Brown mold releases spores, which are related to allergies and irritation, especially for asthmatic people. It is common for people living in mold-infested environments to experience consistent sneezing, coughing, sore throat, runny nose, and wheezing breath among other asthma signs. Babies are also predisposed to major health risks in houses with brown mold infestation. The elderly and people with immunity challenges should avoid such environments. Most likely, you have come across mold in your shower curtains, bathroom floor, or basement. You have certainly heard of harmful effects of mold and relating health risks. By now, you know that mold thrives in dark and humid conditions. But do you know it takes less than 2 days for mold to grow? There are probably many things you do not know about molds; it is important to familiarize with some facts about molds to create a pleasant and healthy living environment. Here are some things you need to know. 1. Brown mold growth is a sign of plumbing problem. Spores only develop in excessive moisture; once you notice molds in your house, there must be water problems and you need an expert. 2. Mold remains hidden for a long time. In dark and high humid environments, molds can grow within 24 hours. However, the dark spots will be seen several days later after the spores have matured. It is important to be keen on details of your wall like musty odor and mysterious wall damage and act fast on the mold. 3. 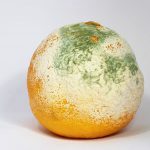 Mold requires organic food and moisture. Probably you have an idea of where brown mold develops. 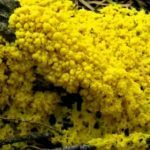 It decomposes organic material and uses it as food for growth of spores. Organic material in a home includes carpet, wood, fabric, paper, leather, upholstery, drywall, and paint. Any excess moisture on any of these surfaces triggers growth and spread of brown mold. Steam from shower, leaking pipes or roofs are some of the moisture sources that cause mold growth. 4. Some home insurance plans exclude mold cover. While most of home insurance plans take care of mold removal, the service conspicuously misses in some. Be sure to check on your insurance plan. Besides, some insurance companies only cover depending on cause of the mold. 5. Getting rid of brown mold, White Mold, Red Mold, Green Mold or other kind of mold is difficult. Most removal techniques are temporal; you might need to replace the affected surfaces for complete removal of brown mold. 6. You can prevent mold growth. Proper air circulation and proper lighting decrease risk of brown mold growth. 7. Mold is useful. Itis used in manufacture of drugs like Penicillin; it also helps with recycling organic matter into the environment.